Self Made Tattoo, Great Yarmouth, for those with a love of body art. On arrival in Great Yarmouth follow signs for the Town Centre. 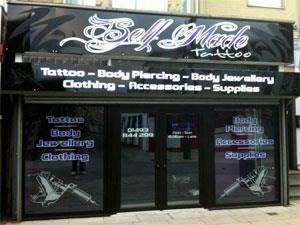 Self Made is located mid-way along pedestrianised Regent Road, with plenty of parking nearby.